Pink and Gray Digital Washi pack comes in chevron, checkers, damask, polka dots, and diamonds patterns. In shades of pink, gray and cream. 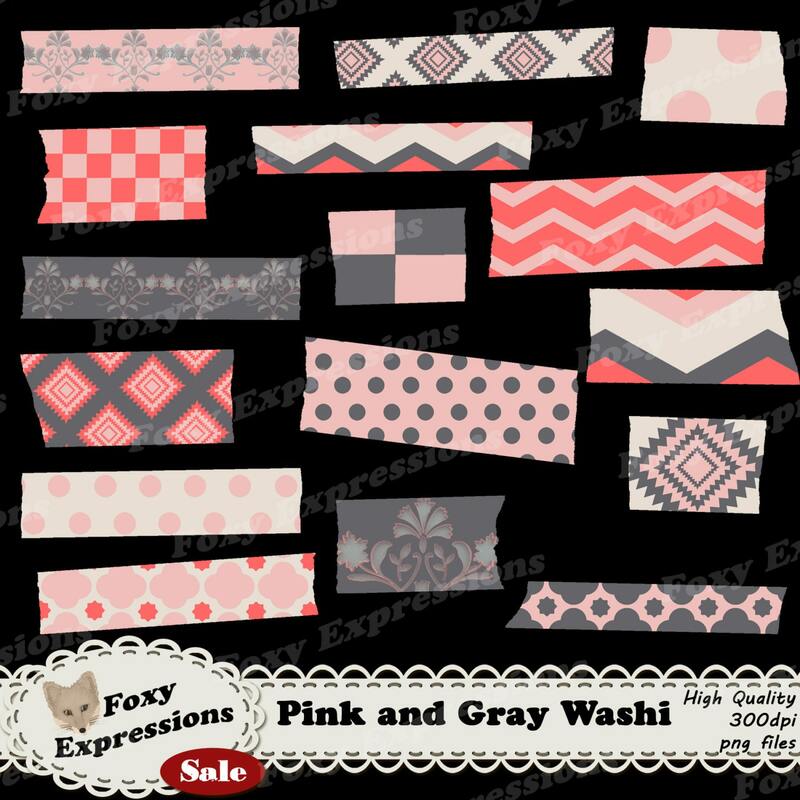 Pink and Gray Digtial Washi Paper pack comes in chevron, checkers, damask, polka dots, and diamonds patterns. In shades of pink, gray and cream.